It was really fun watching the video. He is really good and I agree with you, they can run! 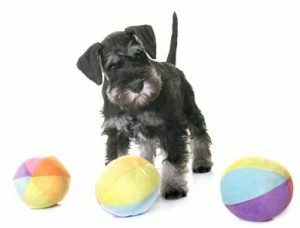 A miniature Schnauzer is very trainable and I love their energetic nature. Can you tell me what are the major health issues they normally have? Thank you Rika for visiting my website and making comment. I’m pleased you enjoyed watching the video. The major health issues with Miniature Schnauzers are: Eye problems, Skin issues and Kidney Stones, but most of these conditions can be avoided with good care. In the case of Skin problems, these can usually be avoided with correct bathing and grooming. I really enjoyed reading your article Who Said Miniature Schnauzer Can’t Run? I love Miniature Schnauzers, my sister has one named Sam. He has the best personality and loves her kids to death. What a great dog he is and what a good breed Miniature Schnauzers are. Thanks again for a great article on Miniature Schnauzers. Thanks very much Jack for leaving your comment on my website. How wonderful for you that your sister has a Miniature Schnauzer. No doubt you get to spend many ‘fun’ times with Sam and your sister’s children. I couldn’t resist writing the article because that little miniature schnauzer in the video showed such great intelligence and a enormous willingness to please his owner.